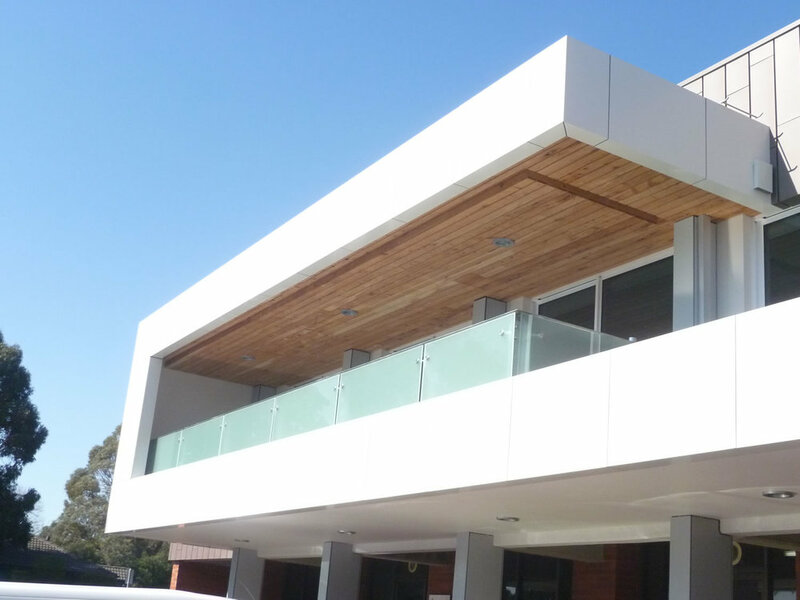 The façade works at St John of God in Frankston involved the rebranding and reimaging the main entrance façade of the hospital. A new façade of zinc, alucobond and glass extending out from the main gymnasium area created a visually impressive focal point on one side, and a sunny lounging space for rehabilitation patients on the other. A similar approach across the remainder of the façade provided all rooms along it with private sunny courtyards. Work was completed in 2010, and ESD initiatives included recyclable zinc cladding, recyclable aluminium cladding and retention of the existing building.